Order your FREE painted earthborn colour card for claypaint and eggshell ranges to get the best view on the colour ranges available. 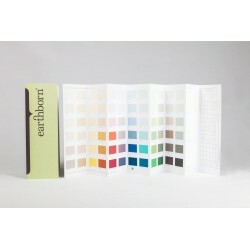 Also download the Earthborn Eggshell & Claypaint Data Sheet from this Page! On this page you can also download the Eggshell & Claypaint data sheet from the icons above.